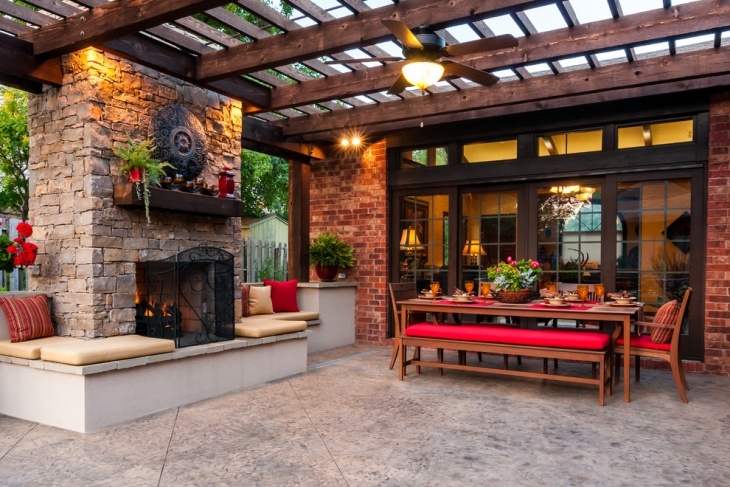 Patios are an incredible way to make your outdoor space more useful and aesthetic. Well, it can range from a simple paved garden area to an extravagant wooden decked seating. The arrangement you go for really depends upon the availability of space, the budget at your disposal and the theme you would like to create. 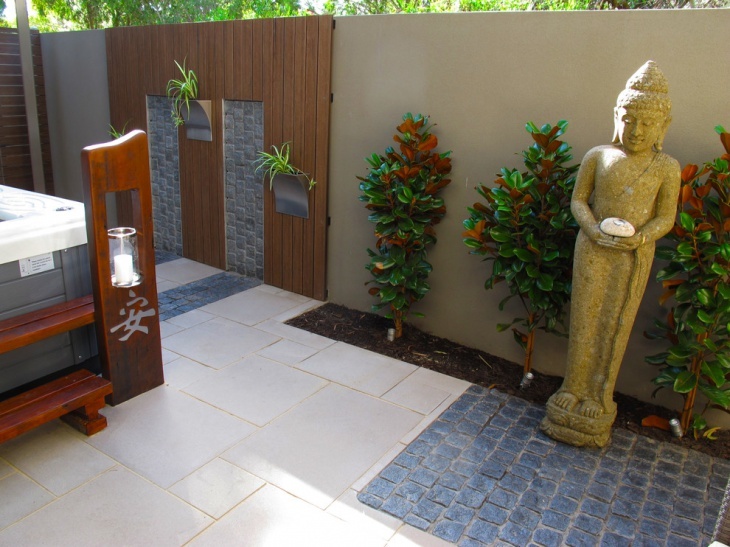 Adding Asian elements to patio spaces can in particular create a very serene and calm outdoor space that you can enjoy both alone and with anyone for company. Well, here are some ideas you should be checking out! In this example, you will particularly notice how indoor elements have been excitingly blended into the natural environment. Wooden decks and earthy furniture both provide a subtle look and a unique space for recluse. Whether it’s a private party or just a romantic gossip, this is the perfect space for it. Now, this is really an elaborate but unique way to create a patio space. 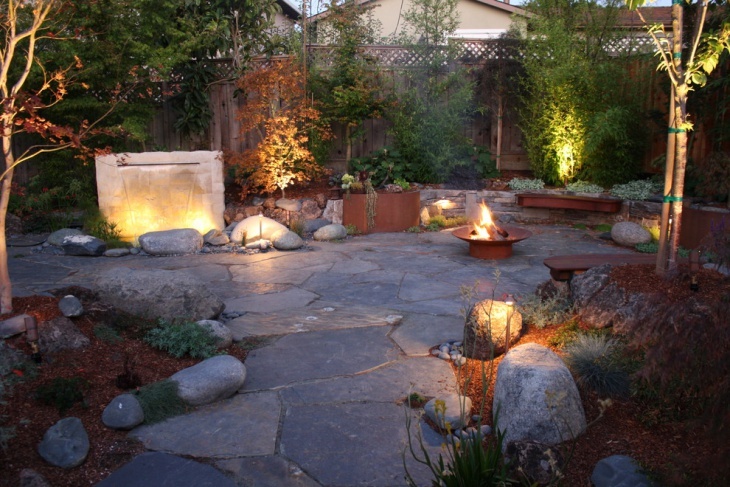 It will be a perfect idea if you don’t have too much of an outdoor space but are willing to make things extravagant. 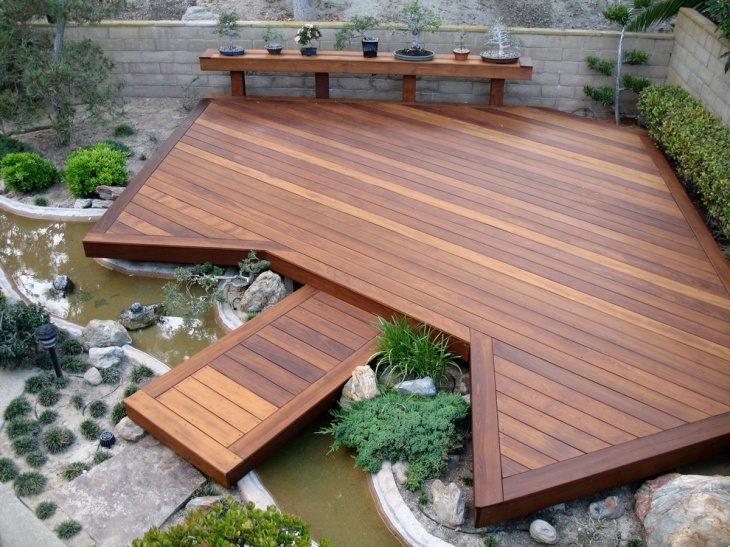 The wooden deck covers most of the garden space and the remaining area is allotted to water channels and small bushes. Put on some chairs or just lie down on the floorboards! Even your kids and pets will love this setting. Asian décor is the most peaceful of layouts. A statue of praying Buddha perfectly befits the setting. Go for materials that come directly for nature, including wood, stones and a lot of greenery. 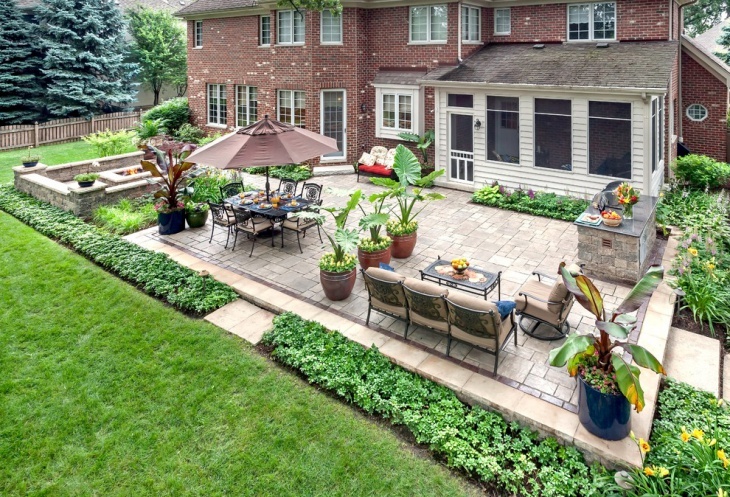 A stone arrangement for the patio space, as showcased in this example would certainly be an extravagant idea. 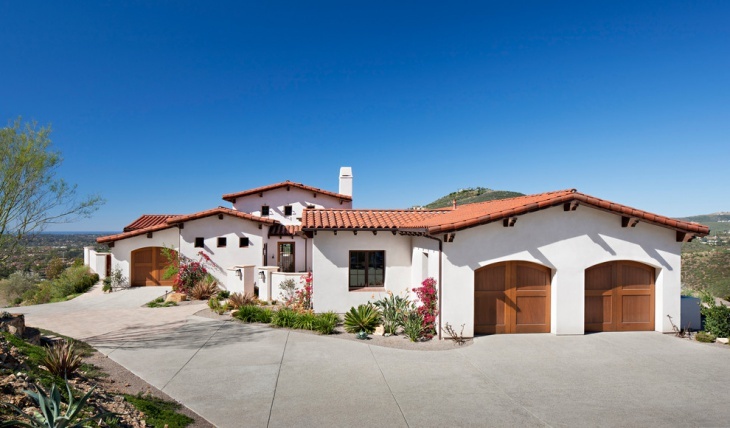 It not only brings in a highly rustic and sophisticated charm but also promotes a serene mood. 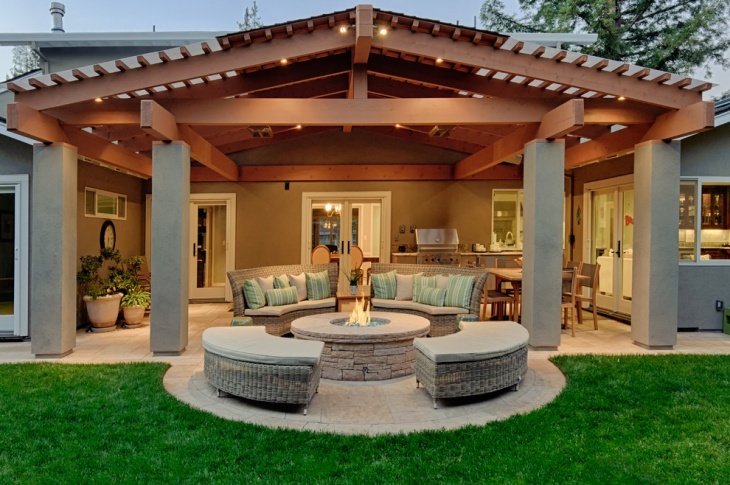 If you have a rather bigger outdoor space, you might want to create a balance in the use of man-made and natural space. 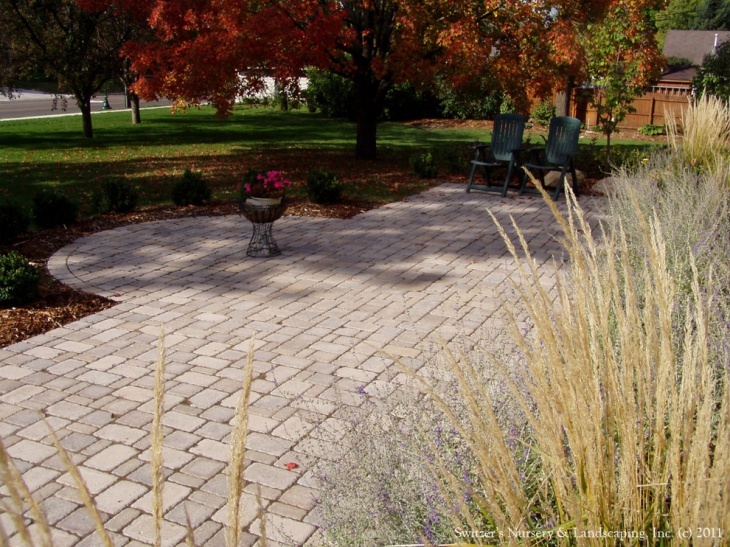 Use pavements in sync with the garden space and come out with an unhindered landscaping. 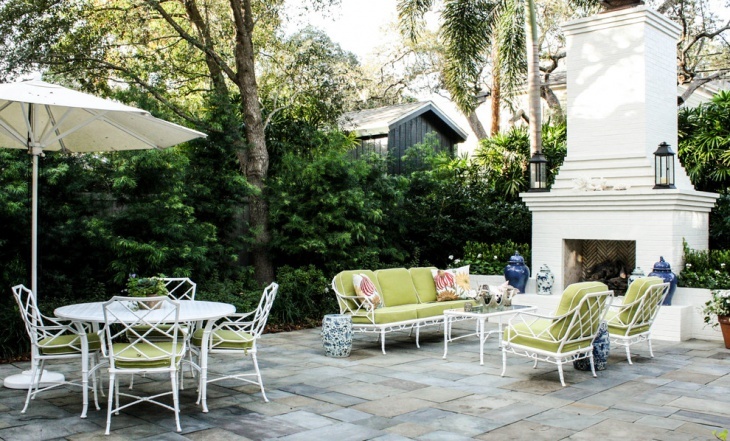 Vintage patio spaces demand a mix of style and sensuality. The main elements here would include a rustic outdoor fireplace, natural materials for furniture and ambient lighting using antique styled lamps. Make sure that the setting is perfectly complimented by plantations. 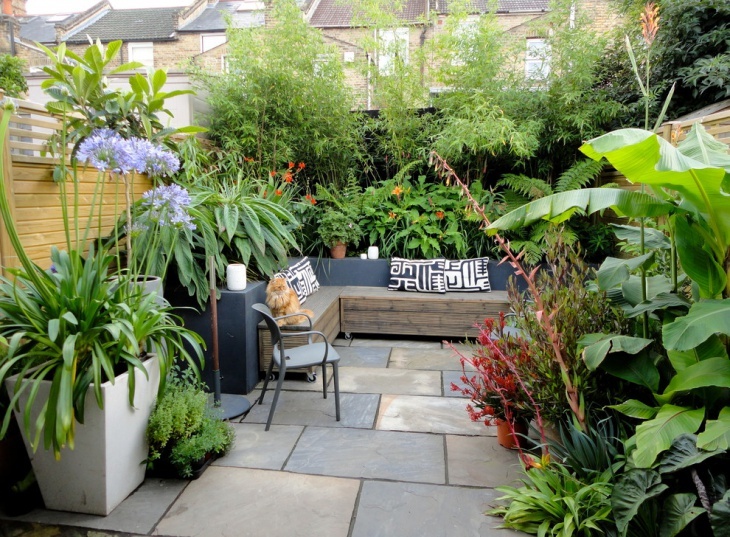 In this example, we see how a backyard has been completely transformed into an exotic space using a strategic layout. 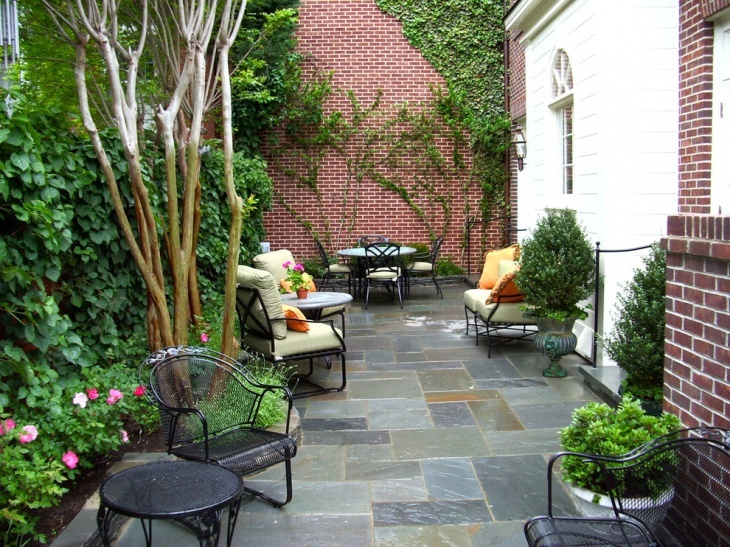 Divide the patio into various functional spaces to add more personality to your outdoors. 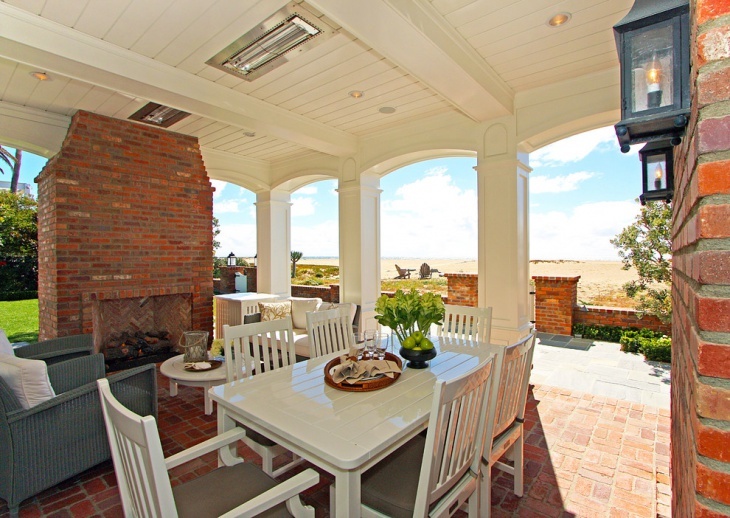 Asian patio designs always have a rustic charm to them. If you are looking to achieve a traditional setting, use a lot of natural elements and minimalistic décor to spice up the space. You might even want to create water bodies and similar natural landscapes around. 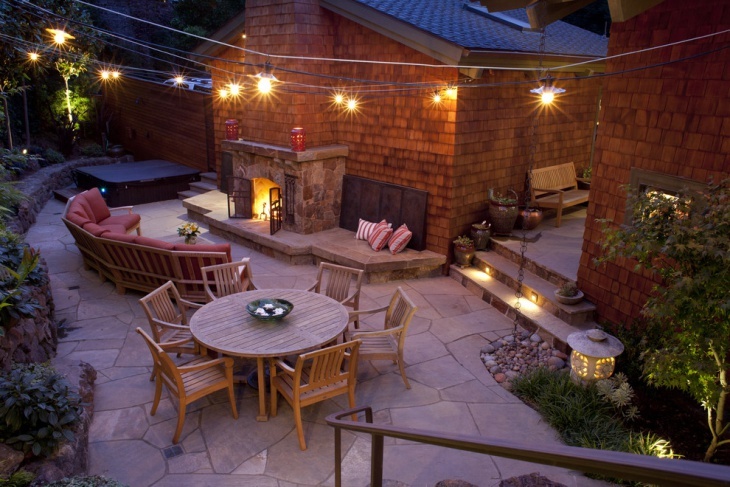 We certainly hope that these examples have been able to give you new ideas and cues about your own patio space. 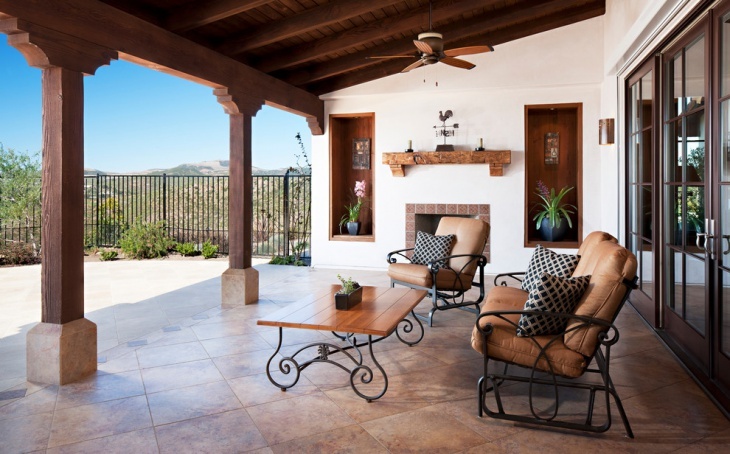 Be it a contemporary patio or a traditional stone patio design, the basic idea lies in creating a private setting. Do share what you finally achieve.